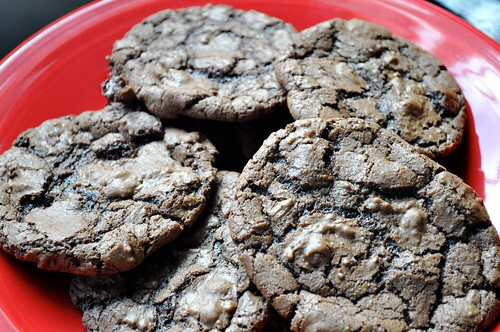 Triple Threat Chocolate Fudge Peanut Butter Cookies zomg. Try saying that three times fast. I, again!, am using a recipe from How Sweet It Is. I think I’m in blog love! 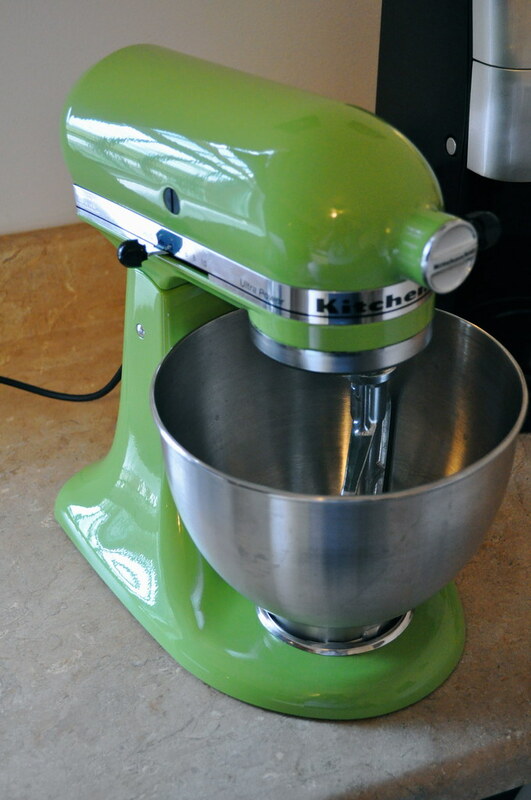 I’ve had a hankering to make some cookies and show my mixer some non – ice cream love. 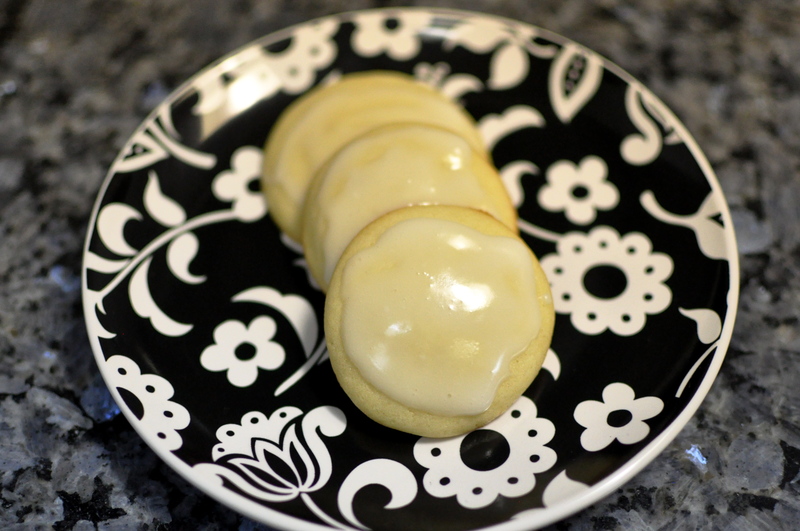 How Sweet has some awesome cookie recipes and this is the first one I tried. The name of the cookie alone hooked me. The photos sealed the deal. The taste made my taste buds tingle and went right to my mid section. I can say I’m living life. The only changes I made was that I did not use semi-sweet chocolate chips (I have a ton of milk chocolate chips and was not buying more) and I under baked my cookies for 9 minutes to keep the fudgey like texture in the middle. Don’t over bake these puppies! I won’t get into the, “I waited a whole week for this thing to be delivered and stalked my UPS delivery man until it came,” story. I’m sure those who have a mixer know the excitement of receiving this gift from God that I experienced. I was just a little excited. AND it’s apple green. SUPER AWESOME! I am uber tickled by this gift and can’t wait to make a bajillion things with it. 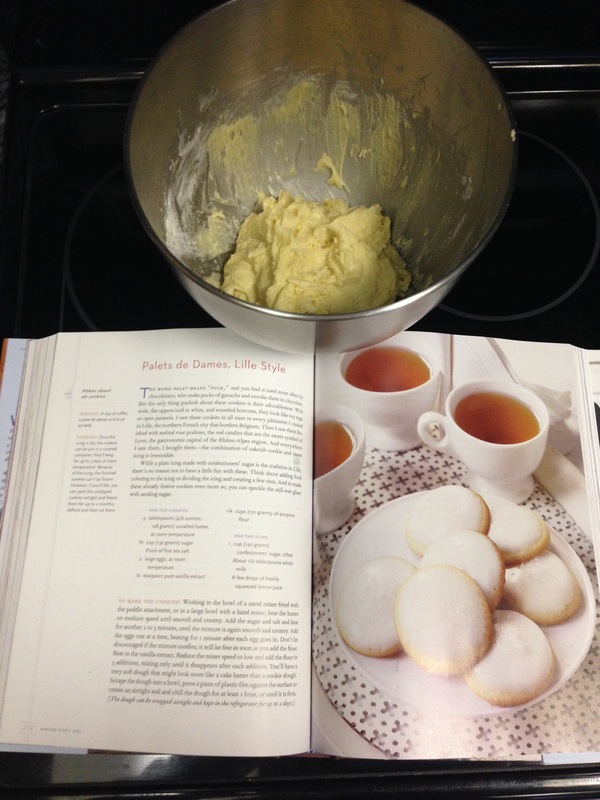 This came from my Martha Stewart cookie book. This recipe was the second attempt. The first attempt was good but I was using some pretty sad cookie sheets. I bought a proper cookie sheet and these babies turned out AMAZING. If you don’t have a cookie sheet, get one. It’s worth the 20 bucks. Preheat oven to 325 degrees. 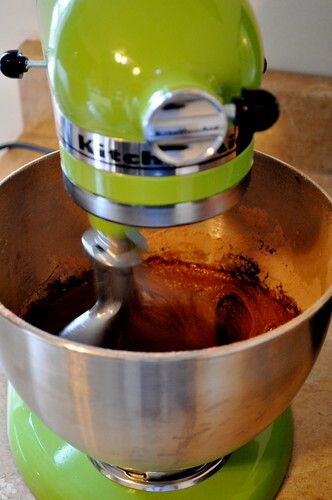 Whisk together flour, cocoa powder, baking soda, and salt in a medium bowl; set aside. Melt coarsely chopped chocolate with the butter in a small heatproof bowl set over a pan of simmering water or for 30 seconds in the microwave. Scoop batter using a 1 1/2-inch ice cream scoop; place 2 inches apart on parchment-lined baking sheets. 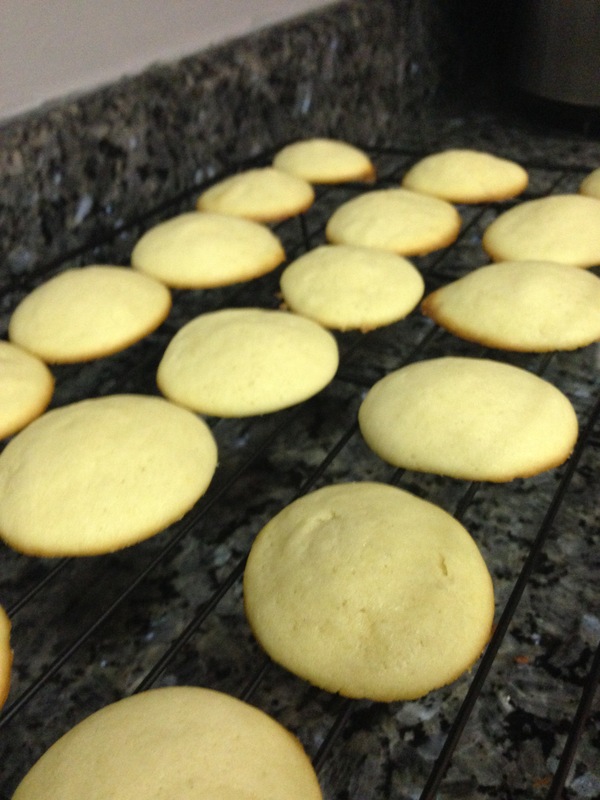 Bake until cookies are flat and surfaces begin to crack, about 12-15 minutes. 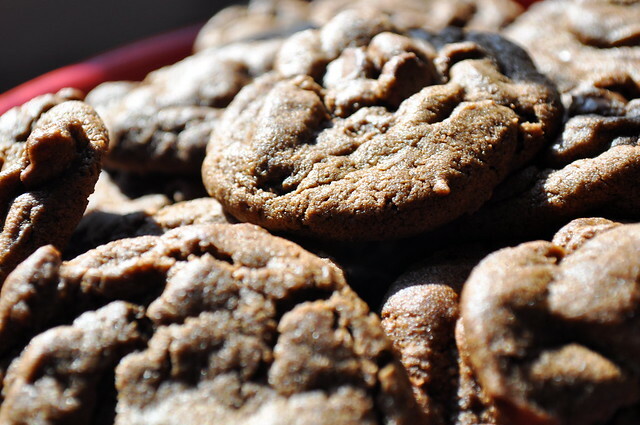 The cookies will seem soft when you transfer them to a cooling rack. That’s OK! They will harden up when they cool so don’t over bake.